I am back on my fitness journey finally after getting back into my routine. I recently moved 100 miles back near my mum and my goodness it has been a hectic 2 months so my diet hasn't been brilliant, to be honest, and my routine has been all over the place. 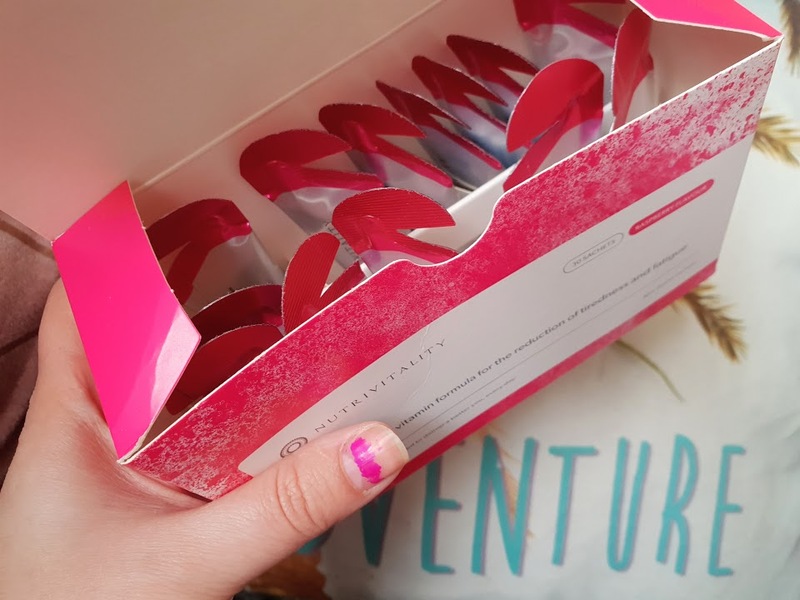 Thankfully I had these Nutrivitality Boost sachets as they kept me alert and reduced the tiredness making it easier for me to sort everything out during my move. Nutrivitality is a company that make a variety of sachets which are Immune Support, Clear Vision and the one I got called Boost. They have NutriProtect technology which delivers 8 times more nutrients into the body compared to tablets. 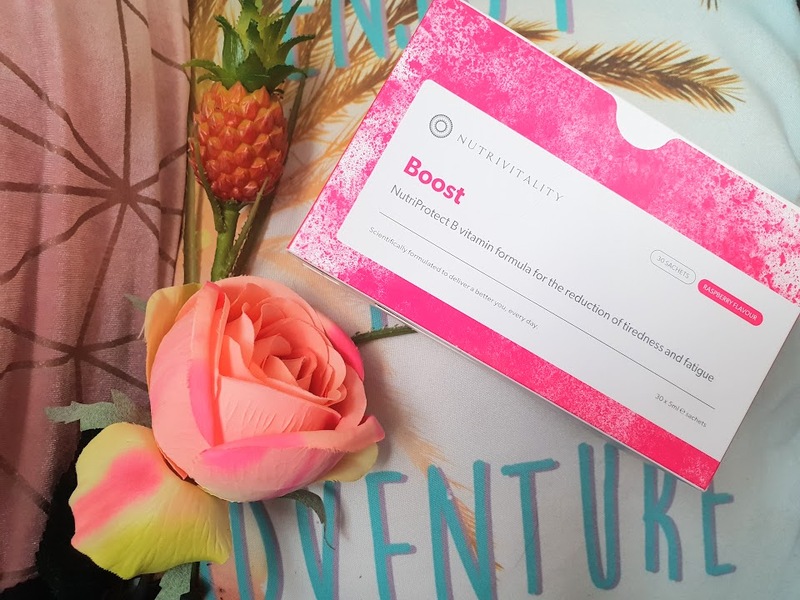 I was kindly sent a box of boost which helps reduce tiredness and fatigue which is brilliant for me as I can get very tired some days and it's annoying when you want jobs done and you are a full-time mum which keeps you on. your feet. Each box contains 30 sachets so you get a months supply of sachets in each box. The good thing about Nutrivitality is that you can subscribe to them so you can get a box every month for when you need them. Did you know that each sachet contains 15 million tiny vitamins, delivering in a way others cant! Not only are the formulated leading scientists Boost is scientifically proven to reduce tiredness and fatigue with their NutriProtect liposomal for 8 times more absorption. They support the bodies energy-yielding metabolism while assisting the physiological function and mental performance. These aren't just good for tiredness and fatigue they also work wonderfully for promoting healthy hair, skin and nails. So whats in each sachet? B1 ( Thiamine ) Helps release energy from carbohydrates and enhance blood circulation and also formulation. B2 ( Riboflavin ) Helps convert energy from carbohydrates, fats and protein into energy which is essential for healthy skin, eyes and antibody production and growth. B3 ( Niacin ) For releasing energy from food as well as helping the nervous system. B5 ( Pantothenic Acid ) Releases energy from food as well as adding adrenal gland and the formulation of antibodies. B5 is known as the 'anti-stress' vitamin. B6 ( Pyridoxine ) This is involved more than any other single nutrient. It's for the metabolism of protein, absorption of nutrients and to protect antibodies. B9 ( Folic Acid ) This is considered brain food as it is essential for growth and reproduction of cells, especially red blood cells. B12 ( Methylcobalamin ) For production of red blood cells, maintenance of the nervous system and not only that but for digestion and energy too. Vitamin - We all know the benefits of vitamin C! 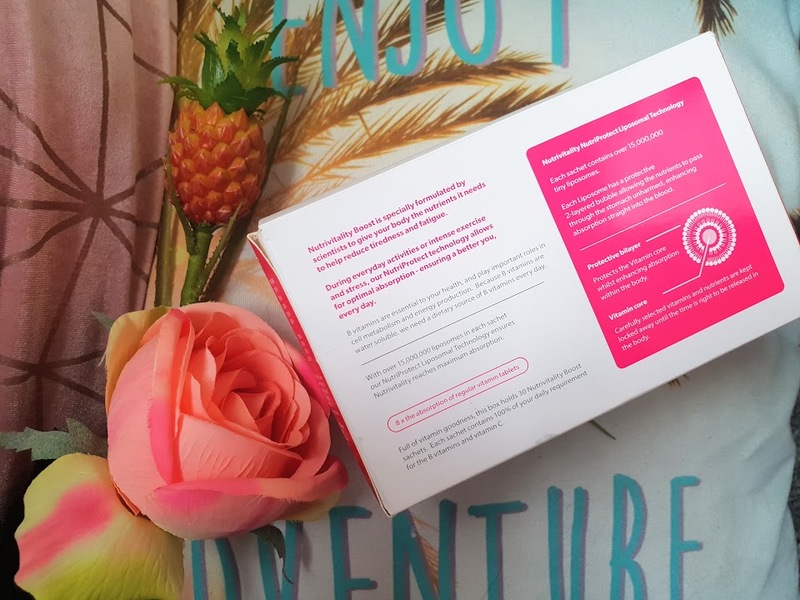 It's a highly effective antioxidant protecting the body from free radicals and also for the synthesis of collagen, blood vessels, tendons, ligaments and bone "phew that was a mouthful but how amazing is vitamin C! At first, I wasn't sure I loved them but the second time I just loved the taste! They are flavoured raspberry but to my taste more like orange. Well, you can drink it directly out the sachet like me or you can mix it into the water if you desire. I personally just drink out the sachet as I like the taste and its also quicker that way. I have used these all up now and my goodness I am going to be ordering more soon for sure especially with Ramadan being around the corner. I usually drink so much coffee but with having these I don't have coffee to wake me up, I just have a coffee on the occasion of just liking the taste. I feel more awake and more productive during the day after having one of these. Have you tried these before? How do you combat tiredness and fatigue? Wow, these sound great! I hadn't heard of this company before. I've recently been feeling pretty tired with having to get up so early in the morning for work. I'll have to look into this more and possibly try it out!